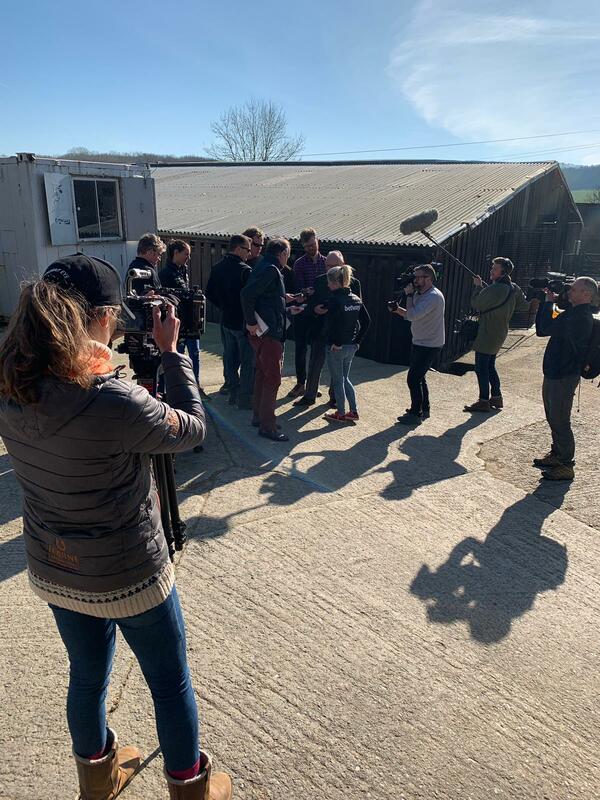 Betway has released episode three of a documentary series, produced by EP, following the emotional story of Kayley Woollacott who presents stable star Lalor, marked as one of the favourites, for the Grade 1 Arkle Challenge Trophy at The Cheltenham Festival next week. This documentary series, commissioned by Betway, who sponsor Kayley Woollacott’s yard, follows Kayley’s journey after her late husband, trainer Richard Woollacott, sadly took his own life in January 2018. To continue the legacy, Kayley decided to take over his trainer’s license and soon after, took stable star Lalor back to Aintree last April, where he followed his 2017 Grade 2 Bumper win with victory in the Top Novices’ Hurdle. Kayley hopes to continue this success with another Grade 1 triumph at The Cheltenham Festival next week. Featuring interviews from Breeder Katie Rudd and Owner David Staddon, this episode reflects on the initial impressions of Lalor, who as a yearling had little to go on in terms of pedigree, but as an individual was incredibly eye-catching. When Kayley first set eyes on Lalor, she was immediately struck by his kind face and honest look – despite his ‘leggy and gormless’ conformation. On the day of the Grade 1 Arkle Challenge Trophy, Lalor will travel to The Cheltenham Festival with shetland companion Twinkle. Kayley will drive over with her sister Stephanie Jones – an integral part of the team – who also plays a large part in keeping Kayley’s nerves at bay during race days. Champion Jockey Richard Johnson, who will ride Lalor at The Cheltenham Festival, describes the Grade 1 Arkle Challenge Trophy as one of the top races, and says for Lalor to get his head in front would be a poignant moment in the memory of Richard for Kayley and her team. Kayley is a formidable character who has a huge passion, her moto ‘work until your rivals become your idols’, as seen on a poster above her office desk, sums up what her team have set out to do this season. This has been a special documentary for EP, who built up a close relationship with Kayley during filming. Kayley and her team were accommodating, relaxed and allowed the film crew freedom to capture an array of shots. A huge thanks also to the commission from Betway, who saw value in such a long term project. The trust Betway held in EP enabled the crew to be more considered about shots and build an emotional investment in the project. Best of luck to Kayley and her team at The Cheltenham Festival!